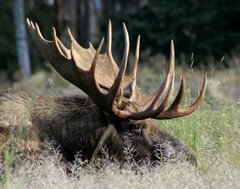 Moose Tracks: Read This Blog Post or I Shoot The Dog! My Dad and his brothers used to talk somewhat incessantly about "The Good Old Days" (TGOD) -- the depression, long trudges to school, only going to school till the 8th grade, milk in cans, no electricity, loose hay, horses vs tractors, threshing bees, steam engines, fishing with a cane pole, ice for ice boxes ... as I said, it was nearly endless. I can't say I was ever enamoured with the idea of no electricity, nor would I really like to go back to no computers, no internet, no interstate system ( I REALLY need to be able to get to see my granddaughter in Denver!). I'd have to say that there is really nothing previous to say "1980" that makes me pine away for that version of "The Good Old Days". My sense is that my Dad's generation believed that much societal change -- larger cities, less local people interaction, bigger government, was "caused" by technology. I think it is safe to say that some of it was ENABLED by technology, but technology is inert -- a gun never makes you shoot anybody, and neither do the combination of the availability of whiskey and cars make you drive drunk. Any form of technology expands your choices -- you don't HAVE to have a cell phone, and having one, you don't HAVE to USE it -- in fact, you don't even have to answer it. Those are choices -- people often let many sorts of technology rule their lives, but that is a choice. Sure, the availability enables that choice, but that is simply how the world is built. Water similarly enables drowning -- but removal of water is not an option! 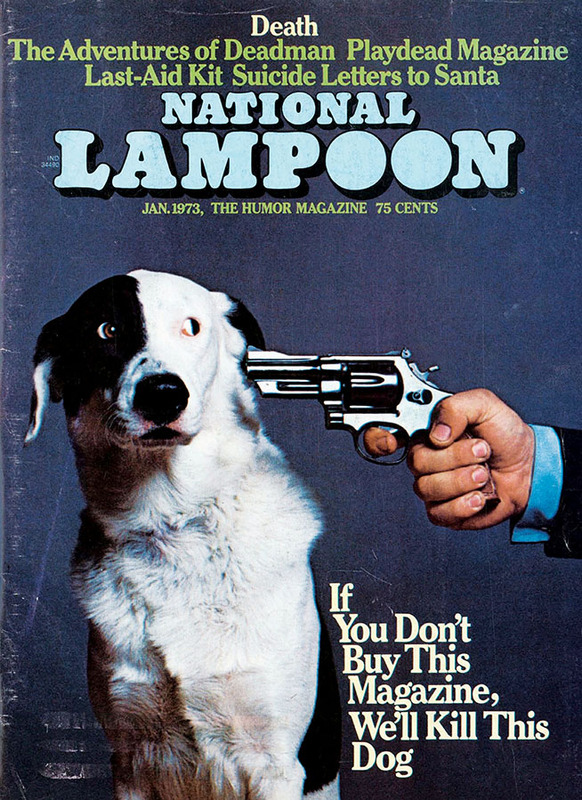 PJ hit the nail on the head about what National Lampoon was in the late seventies and early '80s ..
We remember how the publication was a font of youthful nihilism's dark, ironic genius (albeit with the obvious, pitiful, frenetic and stupid qualities that entails). We never imagined that youthful nihilism would WIN! ... along with the "obvious, pitiful, frenetic and stupid qualities that entails"! It was"progressivism", not "progress" that destroyed my TGODs. Progress is making life faster, cheaper, more reliable, easier, higher standard of living for less work, more comfortable, etc. "Progressivism" is "alienated, sarcastic, cynical, nihilistic" -- except totally school marmish on actual humor, progress, or real fun! Gee an NFL player blew off a couple fingers using fireworks and some guy in Maine put a fireworks mortar tube on his head and it killed him. We better BAN FIREWORKS! Maine Rep. Michel Lajoie told the AP he’s considering trying to introduce a measure to restrict the use of fireworks, though he wonders if it will increase safety. So we have arrived at the time when some of us have nostalgia for a time when people realized that the dog cover was a SICK JOKE! (but the dog was pretty cute) ... however PJ says it well, basically, the inmates took over the asylum. That kind of fun can't be had in the 21st century, where there are no normal middle-class values, all the Clark Griswolds are alienated, sarcastic and cynical, and every suburban schlub is a font of nihilism's dark, ironic genius. BTW ... they had to do that dog picture with no photoshop (talk about the dim and distant past!). Somebody stood off to the side and yelled the dogs name loud enough it took a glance and they caught it. It was a professional model dog ... it was trained to sit and stare at the camera no matter what went on around it.